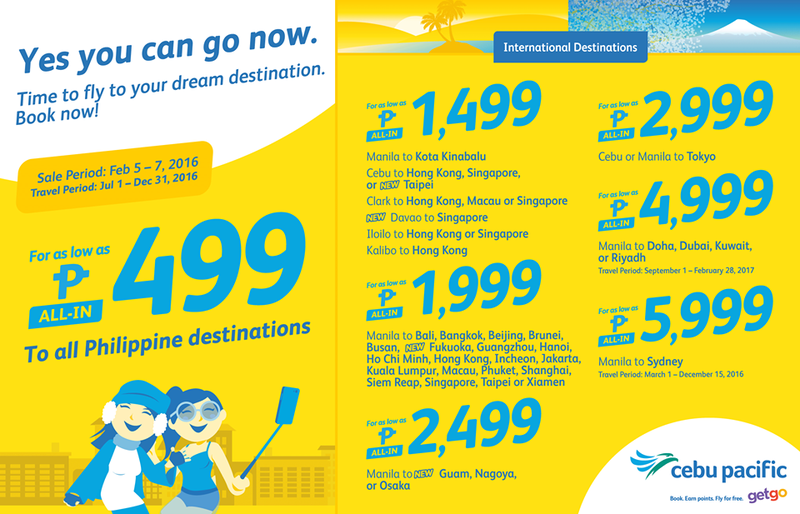 Piso Fare 2016: Here's another very affordable fare that Cebu Pacific is offering. Domestic fares are really cheap. Mind the destinations routes that offer this one way fare. There are also cheap fares for international travel. From Cebu or Manila, you to go to Tokyo for only Php 2999. For those in Mindanao, take advantage of the Php 499 fare. This is for travel dates from July to December 2016. So what are you waiting for? Book now your tickets. May promo po ba ngayong May?? My promo ba ngayong may? Paano ako makakapagpabook ng ticket dito?